Halal eateries are on the rise in Singapore with new hahal restaurants opening almost every other day. Muslims now have a wide variety of cuisines to choose from. I just chanced upon a halal restaurant selling Japanese food when I was running some errands in the North Bridge Road area. 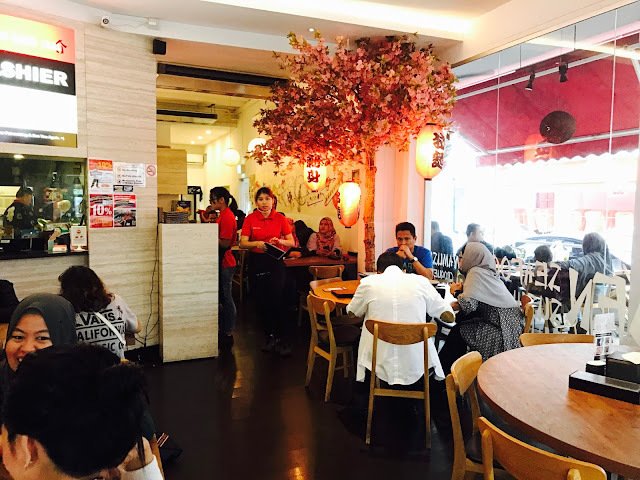 I have seen halal eateries serving Western, Chinese, Vietnamese and even French fare, but this is definitely the first time I have seen a halal Japanese restaurant. From the varied decals on the glass door, I can see that this little eatery has garnered quite a reputation for itself. There are newspaper articles, an endorsement from Trip Advisor, hahal certification, “A” grade cleanliness from National Environmental Agency and “Healthier Choice” accreditation from the Health Promotion Board. Chicken Cha-Shu Ramen is one of the restaurant’s signature dish. The chicken broth is creamy yet not as thick as regular Japanese tonkotsu broth and it goes well with the springy ramen noodles. 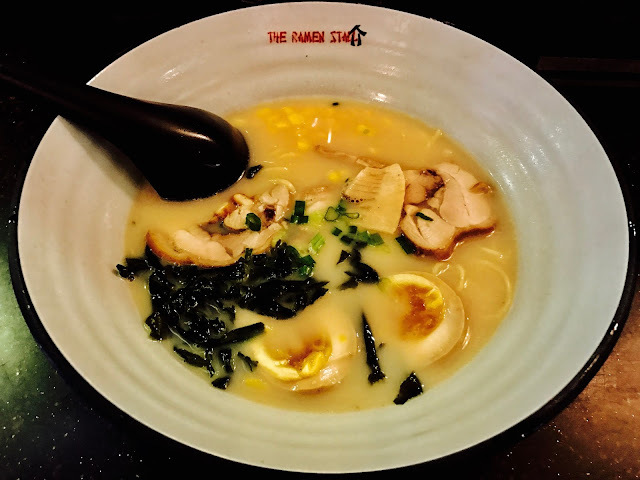 The braised egg is not as runny as I would have liked, the addition of corn, seaweed and bamboo shoots completes a good bowl of ramen. Other ramen choices include Dry Ramen (Spicy/Non-Spicy), Kimchi with Chicken Ramen, Vegetable Ramen, Volcano Ramen, Abalone Seafood Ramen, Mushroom Ramen and Beef Ramen. I have always had a special fondness for flamed foods, so I decided to get an order of Torched Salmon Sushi. I was pleasantly surprised by the freshness of the salmon and the smoothness of each piece of sushi. The torched salmon literally melts in your mouth, filling your mouth with the fragrance of salmon. 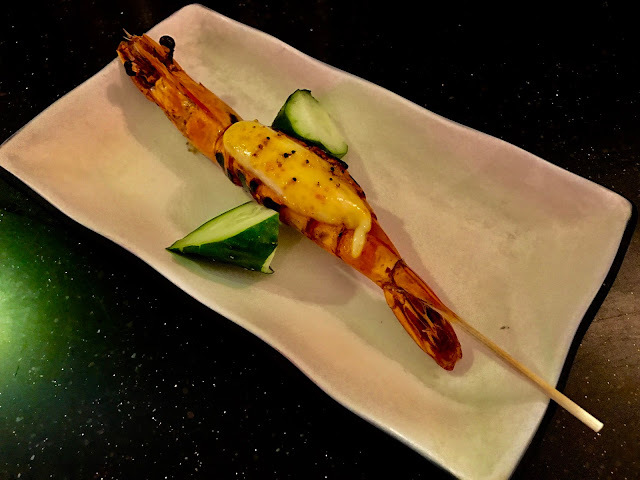 Prawn with Roe & Mayonnaise is one of the most popular kushiyaki (Japanese barbecued skewers). 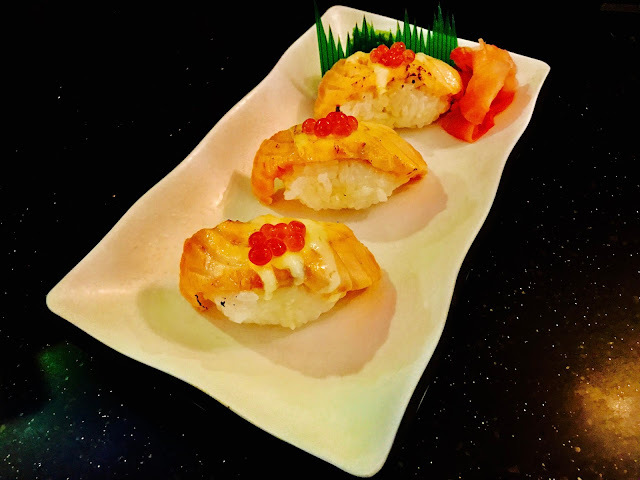 The sweetness of the prawn goes well with the creamy mayonnaise and slightly salty fish roe. 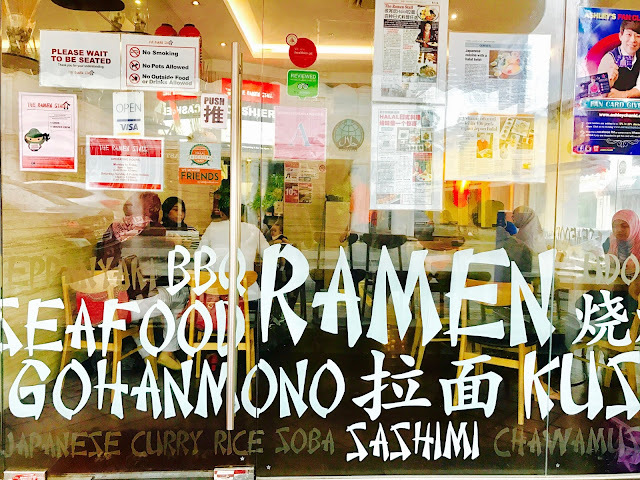 With more than 100 items on the menu ranging from ramen, sushi, sashimi, appetizers, vegetables, kushiyaki, seafood and meat, The Ramen Stall has something for everyone and more, and the food is tasty to boot!